Valentine’s Day is just ten days away people. No matter how you celebrate it – hanging with friends, a quiet evening at home with your guy or gal, or perhaps going all out with a sweeping romantic getaway, a little token for your love is a welcome treat, any time of year. I’ve rounded up 10 truly romantic gift picks for your consideration – for Valentine’s Day or beyond. They say love is ‘more than words’ but sometimes it can be hard to spit ’em out. 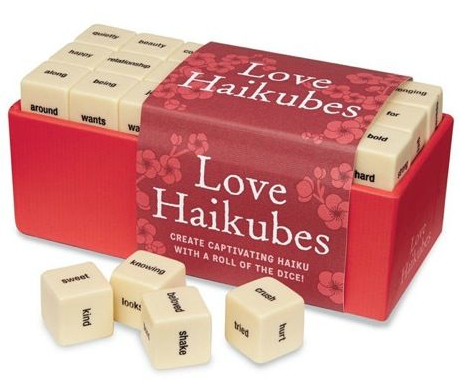 This creative ‘game’ includes 60 word cubes and 2 inspiration cubes that you simply roll and combine to create a custom, romantic haiku that praises everything from your love’s sparkling personality to their prowess in the bedroom. A creative, clever gift whenever you’re in need of a way to express your deepest feelings. Not to go all Jem and the Holograms on you, but philosophy’s new sweetheart-themed My Heart To Yours scent is truly, truly outrageous. To which I mean, please don’t come crying to me when you become a lotion / body wash / lip gloss addict after trying it. The scent somehow magically blends powdered sugar with creamy dreamy vanilla and zesty citrus for an altogether scrumptious aroma. It’s available in a large-sized body lotion and 3-in-1 shower gel / bubble bath / shampoo formulation, or you can pick up this sweet as can be gift set as a fun Valentine’s gift for couples that have been dating for just a little bit, or for many years in. J’adore. 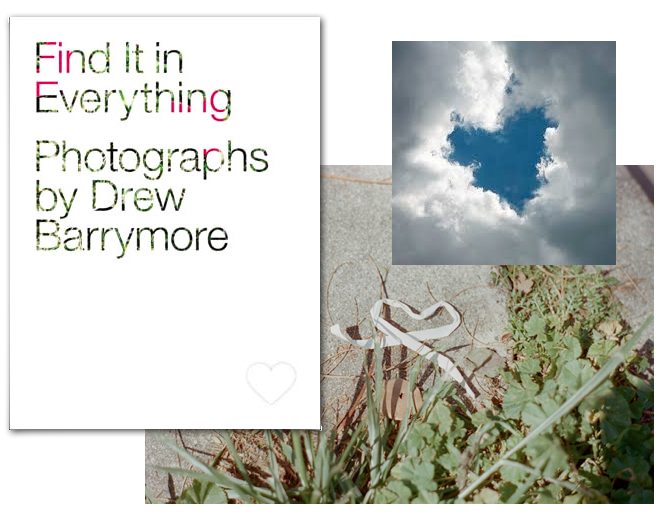 If there were ever a celebrity that was going to release a photography book consisting entirely of photos of ‘found’ hearts, Drew Barrymore would be amongst the most likely candidates be behind it. Such is the case with this surprisingly affordable photo book, featuring photos from the hobbyist photographer’s personal collection apparently amassed over years and years. Not only is it romantically Valentine’s-approved, it’s also just a quirky conversation starter for your coffee table collection. Trust me, not too many people will be able to resist cracking this bad boy open once they spot the ‘author’s name. Adorable, right? These oh so cute faux leather heart-shaped satchels are the perfect accessory for your Valentine’s wardrobe (or for those special date nights, period). 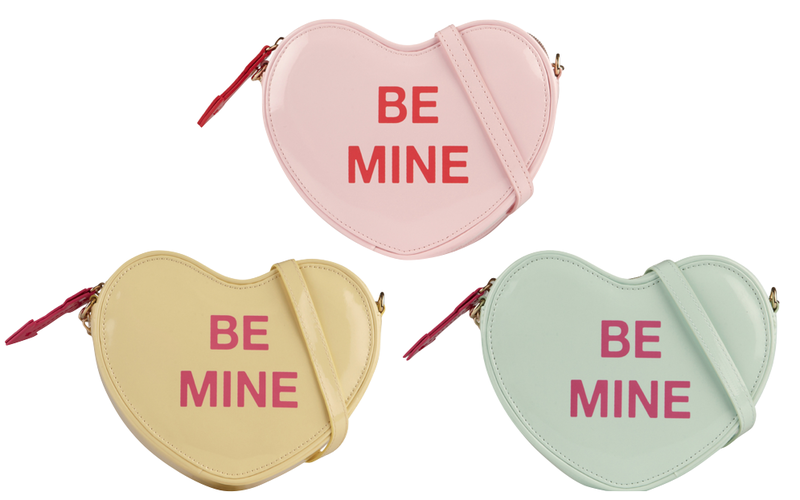 Available in three pretty pastel shades, they feature super fun details, like a cupid’s arrow zipper pull, a shiny gold chain, and of course, the ‘talking hearts’-style messaging that channels romantic inclinations of yesteryear. A fun gift for a single girl friend or perhaps for your actual girlfriend. One of my most favourite scents of the last few years was Balenciaga’s Florabotanica, which I described a ‘modern floral’. As someone that doesn’t usually gravitate to florals, it’s impressive they’ve won me over yet again with their latest incarnation. As you can imagine, the core note here is Rose, although it’s labelled curiously as ‘Experimental Rose’. Despite the tendency for that particular flower to be really heady and dominating, it’s still kept light and fresh thanks to offsetting fig leaf, grapefruit, and one of my fave trendy notes, pink pepper. The overall result is something that orients itself more toward woodsy and earthy – like an armful of freshly picked roses, dirt still clinging to the thorns. To which I say – if you aren’t going to give her actual flowers this Valentine’s Day, this is your next best bet. I feel like a scientific study must exist somewhere that proves that you instantly feel 10x sexier when you’ve got on a fantasti and flattering piece of lingerie. The folks at La Vie En Rose get it and have delivered in spades this Valentine’s. If you’re intimately familiar with your paramour’s undergarments, consider taking a poke around their lingerie draw to spot sizes and then shop accordingly. From frothy cutout teddies to adorable satin tanks with matching lace boyshorts to plush, heart-embellished robes, every piece of their Valentine’s collection has tons of adorable little details that’ll make you squeal and make his jaw drop. I mean really – the bras have crystal heart beads guys. Bonus points for packing it in a heart-shaped box. You know what they say, the couple that Namastes together, stays together. This DVD is designed to get you and your partner in tune with another’s natural rhythms – while also calming your minds, allowing you to ease tension, and *cough*, become more limber in the process. Apart from the physical hijinks that’ll either leave you in commiserating giggles or pulse-pounding friskiness, at the very least you’ll be getting a nice workout and stretch in. A Valentine’s Day gift guide wouldn’t be complete without a slice of fantasy, am I right? These 5″ stunners are made from leather with suede applique of precious hearts in either pretty bubblegum pink, neutral dusty rose, or classic ravishing red. Featuring the brand’s signature (and might I add, a little scary) island platform, you’ll definitely paint the town red with these stilettos on your feet. A girl can dream, right? The body gurus at Lush have come up with plenty of sensual ways to get lathered up for Valentine’s Day. First off, consider taking a bath with the brand new Love Locket Bath Bomb and get surrounded by cute confetti hearts while inhaling the sweet smells of vanilla and jasmine – this nifty gift actually splits into three pieces for up to 3 times the fun. Showering up for a hot date? The new Neon Love soap features a cute heart-shaped cutout with soothing soy yogurt surrounded by a pretty pink citrusy passionfruit square. Spending an evening in with your love? The Close To You and Tender is the Night massage bars melt right onto your skin, for smooth, spreadable massage oil. Finally, consider puckering up with The Kiss lip gloss; designed to moisturize, sparkle, and taste yummy all in one little pot. Whether you buy these fun items on their own or indulge in one of the three limited edition Valentine’s gift boxes, Lush has you covered this Valentine’s Day. Take the classic game of X’s and O’s and bring it to life with this fun, white sequinned pillow. You and your paramour can try and outbrain each other by placing the heart-shaped O’s and glittery X’s on the included velcro patches. Want to make things extra fun? Make it a duel – whoever wins each round gets a reward from the other, or perhaps every placement of a piece requires a kiss as payment. 1) Tell me in the comments below – which of these 10 Valentine’s picks would you most love to receive or gift on Valentine’s Day? You’ve got till February 21st to tell me! 2) Entries are limited to one per person / per email address / per household (or more if you score bonus entries). A random draw will be conducted on or around February 22nd, 2014 to select the winners, who will have 48 hours to respond before another winner is chosen in their place. Browse the La Vie En Rose’s Valentine’s Day selection. Pick your favourite item, grab the link of it, then head over the La Vie En Rose’s Facebook page. Like it, leave a comment with a link to your favourite item from their Valentine’s line. Then simply link back to that FB comment here to earn two extra entries into the draw. Check out Lush’s Valentine’s line-up. Pick your fave item, grab the link for it, then head over to Lush’s Canadian Facebook page. Like them, leave a comment with a link to your fave item from their Valentine’s line. Then link back to your FB comment here to earn two extra entries. Follow philosophy on Twitter. Tag them (and me @cdngiftguide) in a Tweet about my heart to yours including an image of the gift set (found here or simply grab the one in this post). Link back to your Tweet below to earn two more entries. I would love to give the My Heart to Yours Philsophy gift set. I want everything you rounded up! Um, if I had to choose, I’d pick the Neiman Marcus Pumps! I would choose the Philosophy ‘My Heart to Yours’ Gift Set. I’d like to received ‘My Heart to Yours’ Philosophy set. Love the tic tac toe pillow! Definitely going to add a couple of these things to my wish list! I like the Philosolhy Gift Set. The Tic Tac Toe Pillow is cute, too. I most like the Find It In Everything by Drew Barrymore! I would love to get the Philosophy gift set! For a Valentines gift I would like the Rosabotanica by Balenciaga, love perfume! Rose perfume Balenciaga Rosabotanica Perfume i want!! I would love to receive the Philosophy set! I would most like to receive the philosophy my heart to yours set, and would most like to give the tic-tac-toe pillow game. I’d love to receive the Philosophy ‘My Heart to Yours’ gift set. Looks like a winner all around! I’d like the La Vie En Rose lingerie! I like the tic tac toe pillow – so cute. I’m a total Lush addict, so I’d love to receive anything from them. The Valentine’s collection from Lush. I love all things lush. I am such a fan on the Philosophy, so their set is my fav! I’d most like to receive the Valentine’s Day Collection items from Lush. I’d love to get the Lush Valentine’s Day Collection! I really like the Find it in Everything book by Drew Barrymore. I’d love the Lush collection, because I am obsessed with LUSH! The lush products will be great for sharing with my sweetie! Ok I know i have more shoes than a person should but I love the Charlotte Olympia Love Me Heart Applique Pumps. What an unique collection of prizes….all of them make my heart flutter! However, I think I would chose the tic tac toe pillow for its originality! Of these 10 Valentine’s picks I would most love to receive “Find It In Everything by Drew Barrymore” & I know once reading it, I’ll also see hearts in everything. I would like the Rose Perfume Balenciaga Rosabotanica! I like the Drew Barrymore book. I like the La Vie En Rose Valentine’s Collect Lingerie. I like the crossbody purses. They say love is ‘more than words’ but sometimes it can be hard to spit ‘em out. This creative ‘game’ includes 60 word cubes and 2 inspiration cubes that you simply roll and combine to create a custom, romantic haiku that praises everything from your love’s sparkling personality to their prowess in the bedroom. A creative, clever gift whenever you’re in need of a way to express your deepest feelings. I would love those Charlotte Olympia Love Me Heart Applique Pumps. They would look great with my favourite dress. 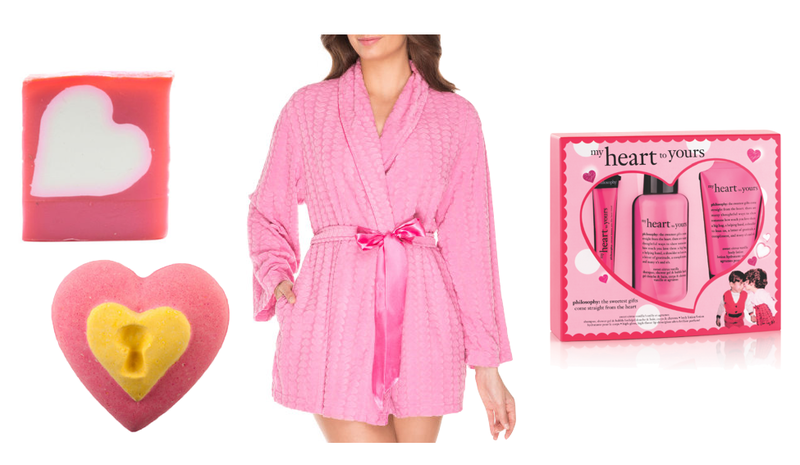 Would love any of these gifts for Valentine’s day it would make me extremely happy the pink robe would have to be my favorite tho!! I would love to try the Balenciaga Rosabotanica Perfume. I would love philosophy’s new sweetheart-themed My Heart To Yours scent gift pack. I would love to receive the Lush Valentines Day Collection. I’d like to have the philosophy ‘my heart to yours’ gift set. I would love to receive the Charlotte Olympia Love Me Heart Applique Pumps as a special gift for my wife. Love the Valentine’s Day Collection from Lush. I’d like the La Vie En Rose collection. The find it in everything book is beautiful, also the La Vie En Rose Collection. The shoes! hah I wish! I’d love to give my wife the lingerie! I’d most like to try the philosophy my heart to yours set. I love vanilla and citrus, so it’d be nice to see what this is like and if it smells like cake! Facebook comment. I’m going to have to look for that Prince Charming – pink grapefruit is such an invigorating scent! I would love to give AND receive the Lush products, especially the neon love soap. Need to go to the store and try that, ASAP. I’d like to give my wife some things from La Vie en Rose Valentine’s collection. La Vie en Rose lingerie would be my favourite! The love me heart pumps are wow!!! I’d love to receive the Lush pack.. or the heart pumps, which are amaaaazing. I would love any of the Valentine’s collection from Lush. Wow, I didn’t see the price, just the shoe, then wow, wow. http://www.lavieenrose.com/webapp/wcs/stores/servlet/ProductURL1_10052_10001_-1_5001001187_5001001185_5001001192_StValentine_507804_LaceandMeshNightie_ProductDisplayErrorView_ This is really pretty. This is really a great set. Love it. I’d LOVE the Philosophy set! I’m all about pampering so I’d like to receive the Philosophy gift set, the Rosabotanica perfume and the collection from Lush. 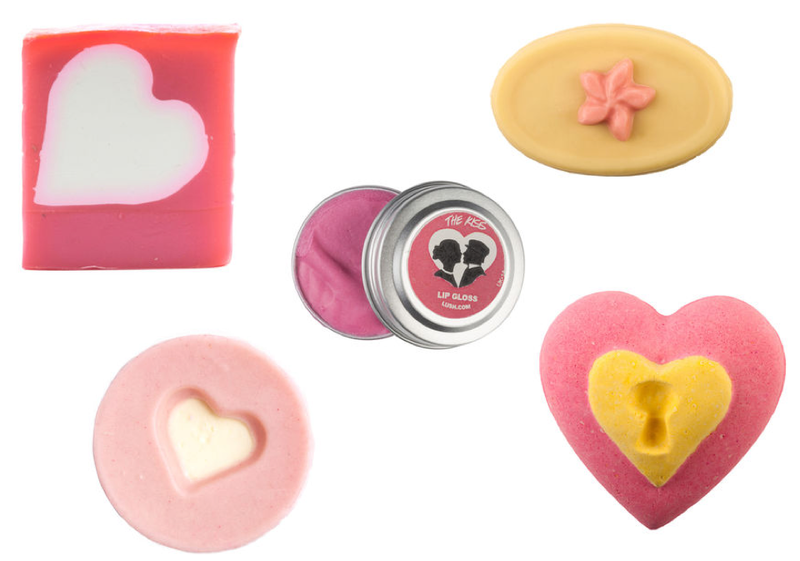 tHE Valentine’s Day Collection – Lush would be wonderful! I would like My heart to yours gift set and the Robe. Lush products – can never get enough Lush stuff. I love all of these gift ideas. I’d say my favourite is the philosophy ‘my heart to yours’ gift set. I would love to give the shoes to my daughter. Definitely, the philosophy gift set “my heart to yours” ! 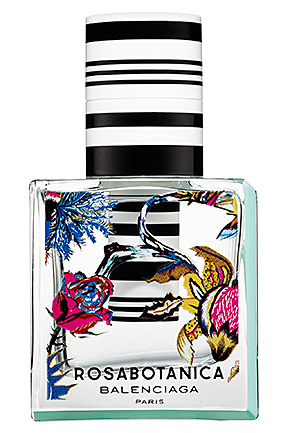 I like the Bay’s Balenciaga’s Florabotanica oerfume. love the designs on the bottle. Wow what a great prize you are giving away, thank you!! I would love to receive the philosophy gift set. Sensual Yoga for Couples DVD. I would be happy to give it away or receive it. Who doesn’t need to zen out these days and that you could do it with your partner? Fabulous. I’m interested in the Sensual Yoga for Couples DVD the most. I would most love to receive the Lush set as I love their products! sensual yoga for couples looks fun! the valentines day collection from lush! looks amazing! I would love the Philosophy set! I would totally love the Love Haikucubes! The robe is definitely really cute! I am a perfume addict so I would love to receive the Rosabotanica by Balenciaga. 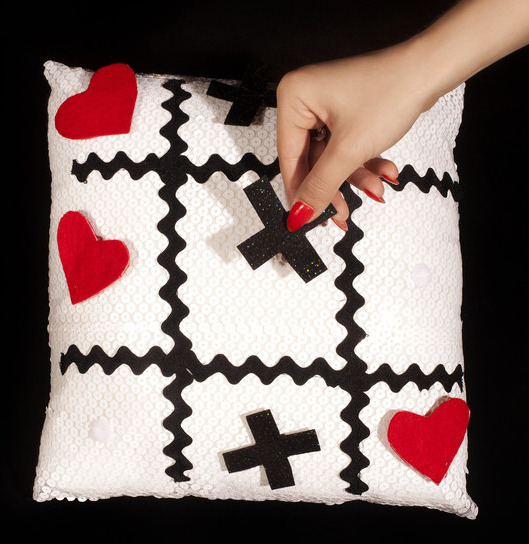 The Tic Tac Toe pillow would be a great conversation piece to have. The La Vie En Rose Lingerie, I like it best! The Love Haikubes would be great to recieve. Would love to treat myself to the philosophy ‘my heart to yours’ gift set from Hudson’s Bay! Always wanted to try this product! I would love to receive the Philosophy gift set! something from la vie en rose! I would most like to receive the Philosophy gift set, love that company! Philosophy set would be #1 on my list! Love Lush, but it just doesn’t have the value. Purfume, a luxurious purchase I can’t make for myself.